A student, at any age and at any stage, treads a well-worn path. I consider myself a student and I’m on a path. I research and study street photography greats for equal parts advancement in my own development as a photographer and for just pleasure. The path of research, as I’ve said before, is well-worn but with reason. 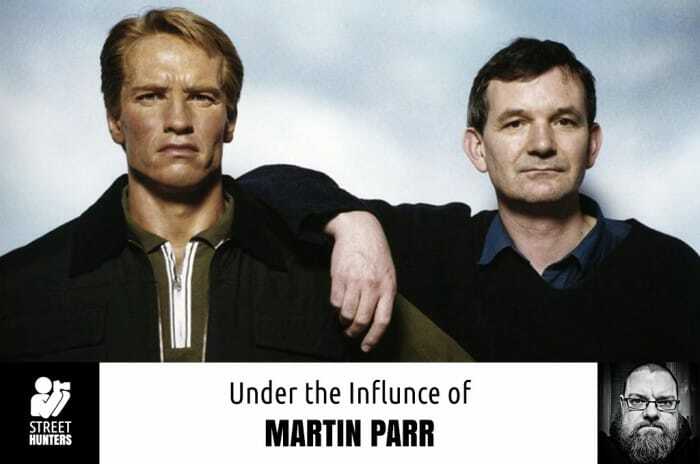 The names link together, one great leading to the next, making the path easy to follow. 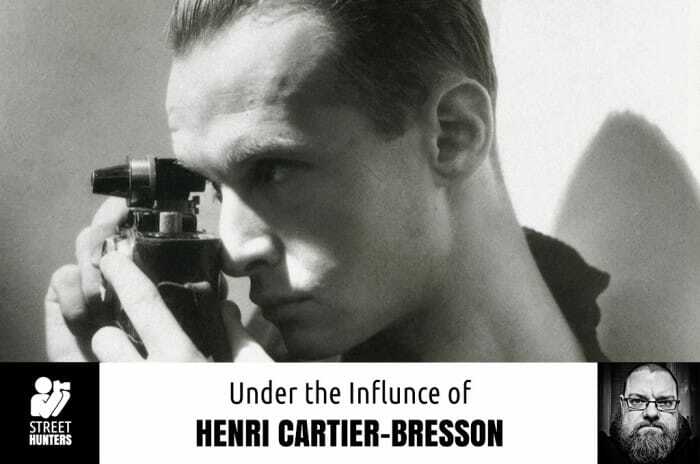 The names Cartier-Bresson, Frank, Winogrand, Doisneau… they all are markers on the path. But sometimes, the path becomes too familiar. You see familiar sights. The same images pop up again on the mostly digital and sometimes hardbound trail I take. Then something, or in this case, someone different catches your eye and you must detour. Hours pass and you realize that the neck of the woods you’ve stumbled into isn’t that far off the path, it’s just been neglected. This particular neck of the woods I thrashed my way into belongs to John Gutmann. 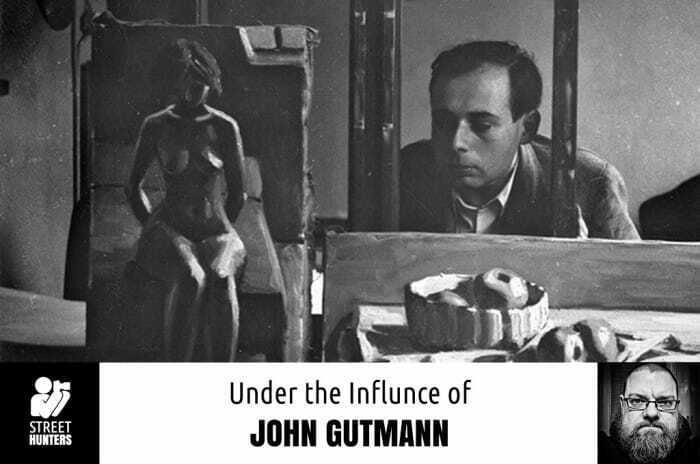 Gutmann(1905-1998) was, in my humble opinion, a true pioneer in American street photography and his story is fascinating. Born in Germany, Gutmann studied art in Berlin with the great Expressionist painter, Otto Mueller. He then became an art teacher. As the Nazi regime rose to power he was prohibited from practicing art. 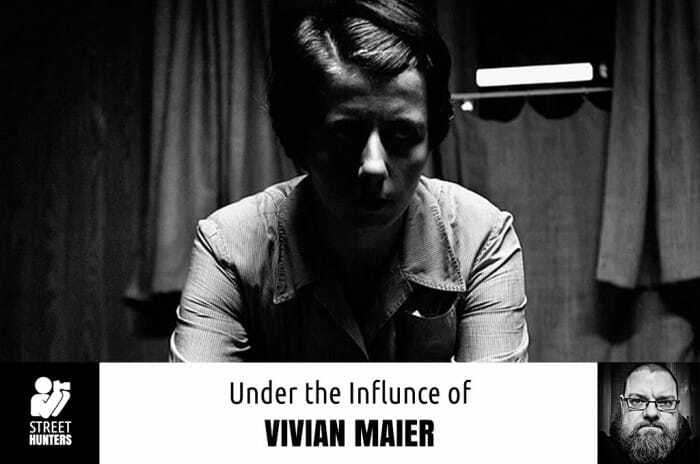 Being Jewish, he was also forbidden from teaching, He devised a plan to escape Germany. The plan was brilliant… buy a camera. Bruce Gilden. In the circles we run in, the very mention of his name seems to part the masses like the Red Sea. There doesn’t appear to be anyone on the fence. Love him or hate him, that’s it. But the opinions on him always seem to go back to the way he works. Once one watches a video of him in action, an opinion is immediately formed. More on that later. Regardless of how he operates, there’s one thing that can’t be denied… he’s an amazing talent. His images back it up and they command respect. Gilden(born 1946), has been with Magnum photos since 1998. Before I continue, let me say that by being a member of Magnum does not mean they are the photographic equivalent of a “chosen one”. But I’ll be honest, the name Magnum carries a lot of weight for good reason. Almost much everything I’ve seen from Magnum shooters is pretty damn stellar. Ok, let’s carry on. 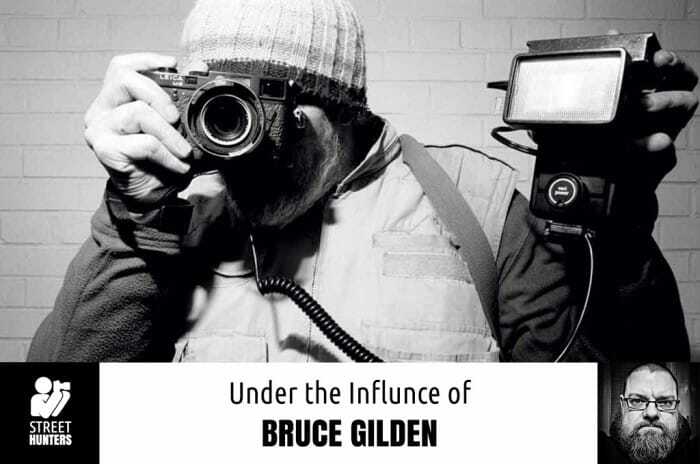 Bruce Gilden doesn’t sneak candid shots. He pounces into the subject’s personal space with his camera and handheld flash and fires. Watch the available YouTube videos and you’ll see exactly what I’m talking about. There’s no stealth mode. No hiding. No being clever or coy. Just a full-frontal attack. This is how Gilden operates and what has forged his style. Perhaps the greatest thing when looking at the masters of Street Photography, besides the work itself, is what I call the “chain”. After only being a student of street for a year, each master discovered is new and fresh to me. The research of that master then begets research into another. Whether that next master is an influence of, an influence on our a contemporary of… each great is a link in the “chain” of discovery. No one great is the end all. Each is a stepping stone to another. I’ve come across Lee Friedlander’s name numerous times in my journey, but never took the step in his direction. Why? Ignorance, really. 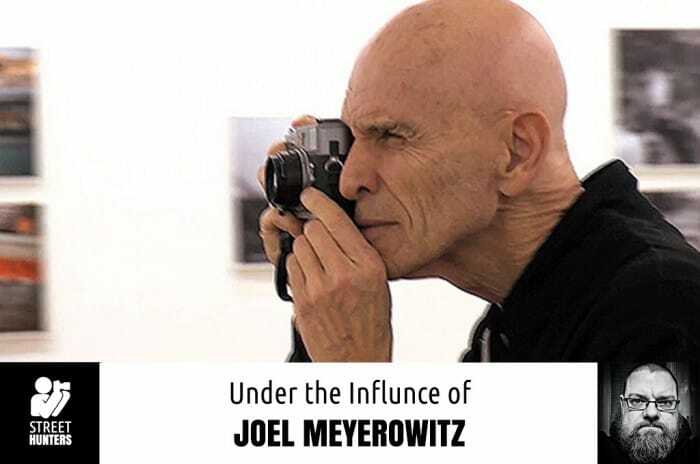 His name was always referenced, especially when digging into Winogrand, Meyerowitz and Arbus, but it wasn’t as “talked about” as the other big names in street. Dare I say not as revered? Granted, Friedlander is still living, and his name is not hallowed. Do a search of Friedlander and you’ll understand what I mean. Critics and “experts” praise him, but his name doesn’t seem to have the marquee power of Cartier-Bresson, Parr, Winogrand, Arbus, etc. Why? I don’t know. But, after diving into his work, I can tell you that it’s a crime that it does not. 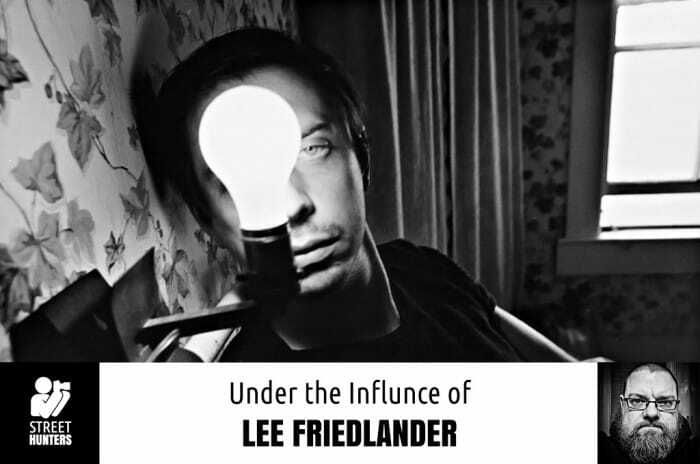 Lee Friedlander (born 1934) is about to turn 80 and his body of work is simply massive. Friedlander moved to New York in 1956 and made a living photographing jazz musicians for record covers. After that he freelanced for magazines like Sports Illustrated, Esquire and Art In America. 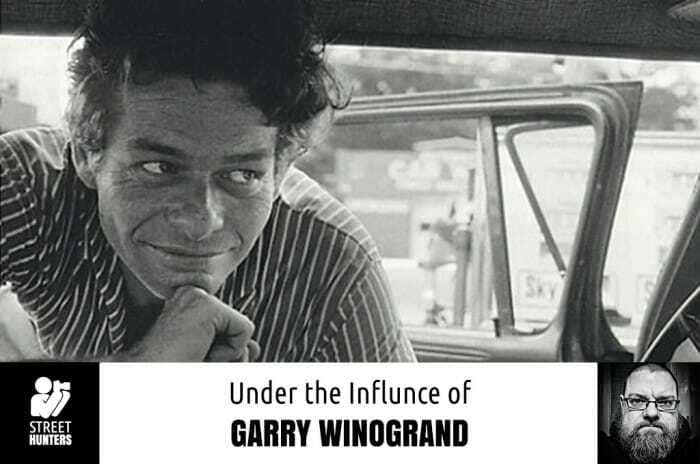 In 1967, he was featured in the monumental New Documents exhibition at the Museum Of Modern Art along with Garry Winogrand and Diane Arbus. In New York he kept company with other greats like Robert Frank, Helen Levitt, Richard Avedon. In the 1960’s, Friedlander’s name was synonymous with Street Photography. It’s been written that he showed us the true “social landscape” of that time. Art, like life, can be way too serious. Street Photography is no exception. Personally, I’ve found myself too wrapped up in trying to capture the “decisive moment”. Or, maybe worse yet, pressuring myself to seek out that compelling subject or composition. This can be a dead-end road for any street shooter. It can be lost on us that life and our practice of street photography, is also really a comedy of errors. Life is lived through lessons we’ve taught and, hopefully, learned from mistakes we’ve made. Street Photography is much, if not exactly, the same. But life is not just a comedy of errors, it’s also just a comedy. We, as humans, are playful creatures. We joke, we laugh, we kid around. We do silly things. We wear silly clothes. And if you think about being a Street Photographer, well you also realize it really is a fool’s folly. Think hard about that! Maybe war photography could be more unpredictable and/or dangerous, but street photographers are the foot soldiers on our everyday streets. A bold analogy that can be debated, for sure, but we are the “boots on the ground” documenting, capturing everyday life. Capturing and documenting life… truly a fool’s folly and an incredibly tall order! And some brave Street Hunters may choose to put themselves in “hairy”situations in order to get a stark, grim or chilling shot. But most of us walk on well-paved streets. Walked on and paved by people like us… common folk. Being human, being playful. 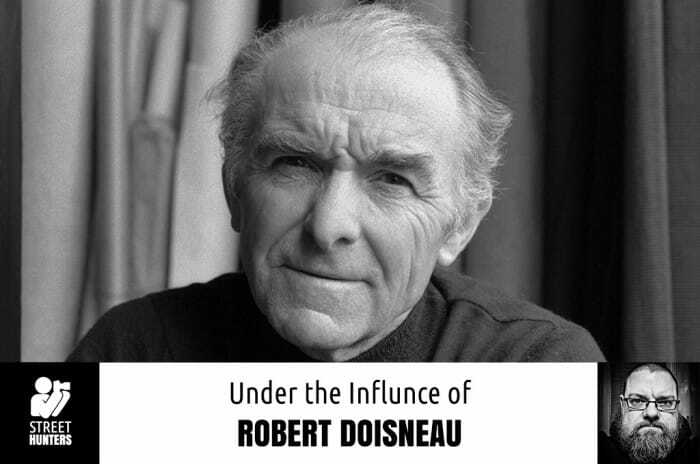 For this week’s Under The Influence, I’ll be taking a look at the master of being playful and one of the early masters of Street Photography , Robert Doisneau. Come along, let’s lighten up a little. 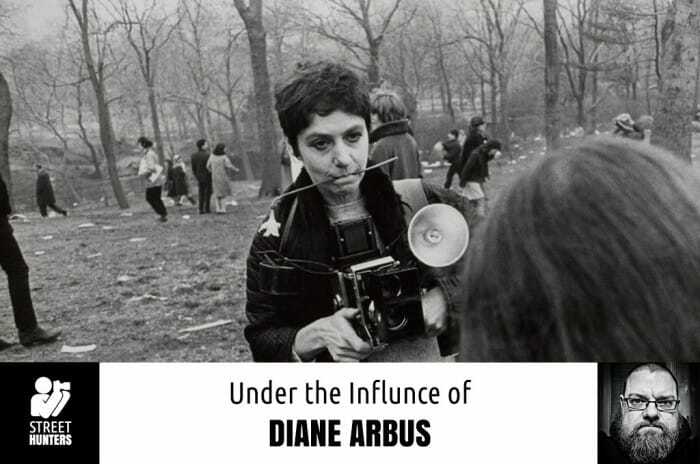 That quote is from Diane Arbus, and I think it nails what the thrill of street photography is all about squarely on the head. Shooting street is a rush, and if we’re being honest with ourselves, a naughty one at that. Pushing creepy, voyeuristic analogies aside, the nature of street photography could be considered slightly criminal. We are stealing from our subjects when we work candidly. We’re stealing moments, expressions, emotions, positions and movements. But, it is not with malicious intent. At least for me it isn’t. I “steal” to celebrate or to document. However, detractors can legitimately argue against that defense. The anti-street folks can claim it’s an invasion of privacy, but I know the real deal and that’s what counts. I can even say, with a slightly straight face, that a street photographer can be viewed as a type of Robin Hood, stealing from the world that is rich in images and presenting them to the poor, unfortunate eyes that don’t see what we do. Lame excuse to justify my need to satisfy my street addiction? Perhaps. But, it’s true. Or maybe I’ve just told myself that enough that I believe it’s true! Never trust a junkie.